Raw Brazil nuts are one of my favorite snacks. And this tiny nut has a big nutrition secret. Click ahead to find out what it is! ...and more nutrition facts after the jump. 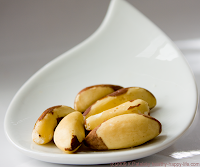 ...and a Brazil Nut recipe to be posted soon. 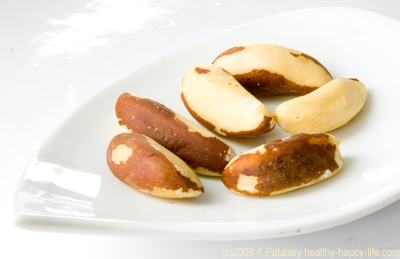 BRAZIL NUT FACT: Just one tiny Brazil nut contains 137% your RDA of the very important mineral selenium. Read about more nutrient dense foods here.